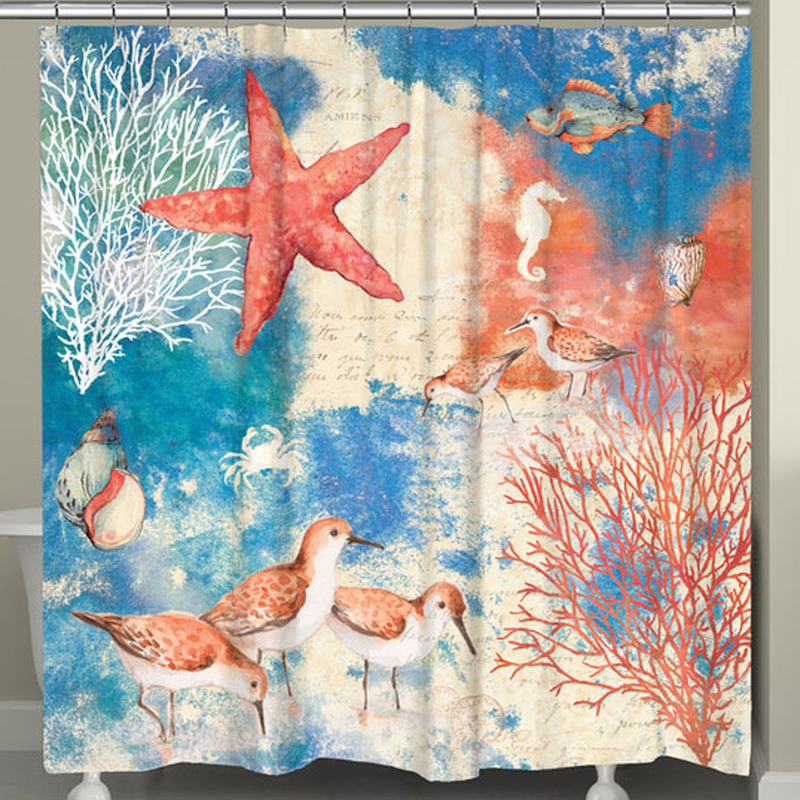 The vibrant coastal-themed Reef Life Shower Curtain features lively sand pipers, silhouetted sea creatures, coral, and shells. This beach shower curtain ships from the manufacturer. Allow 1 to 2 weeks. Cannot express ship. For additional items, we invite you to take the occasion to look at our comprehensive collection of beach shower curtains at Bella Coastal Decor today.